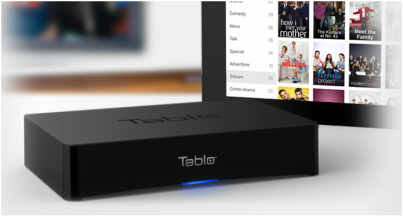 The Tablo DVR captures TV with an HDTV antenna, and combines the functionality of a DVR with the convenience and mobility of a tablet. With one Tablo unit, multiple users can watch TV on screens throughout the house. Users are also connected via their mobile device for on the go program viewing! The Tablo DVR is very easy to install-- the unit plugs directly into an HDTV antenna to capture free, local HDTV broadcast programs including news and sports within the US and Canada. Tablo connects to your home network using WiFi to stream content to any connected device inside your home or anywhere you have internet!